While only playing one year in a Georgia State Panthers uniform, former basketball player Willie Clayton was determined to make the most out of his opportunities during his time with the program. While many may be unaware, Clayton is now establishing a name for himself playing professional basketball overseas for Cyprus Girne basketball in the EuroLeague. “I’m playing professionally in Turkey right now; it’s the second league, and I’m really enjoying my time here,” Clayton said. Clayton is 6,097 miles away from Atlanta, Georgia, so he has had to adjust to many things, including a six-hour time change. Surprisingly, however, Clayton has not been affected by a culture shock of any sort. Clayton also recalled asking his Turkish teammate one morning why everyone was somewhat taciturn while eating their meals—breakfast in particular. “He stated to me that people don’t usually talk that much in the morning over here. So I’m sure Panther family, you guys know I love to talk, so that was very different for me,” Clayton said while laughing at the fact some may consider him to be long-winded. The game of basketball is also played differently in Turkey as opposed to in the U.S. Clayton explained that there are many traits a successful basketball player must possess while playing in the EuroLeague. Clayton undoubtedly inherited those traits because this past season, he averaged 15 points and 10 rebounds a game. During his lone year at Georgia State, Clayton said that he learned one key thing from head coach Ron Hunter which has helped him in being successful during his early career overseas. “I just have to be me at all times! Don’t do things out of my character! And that’s how I have dominated overseas by always staying true to myself!” Clayton said. 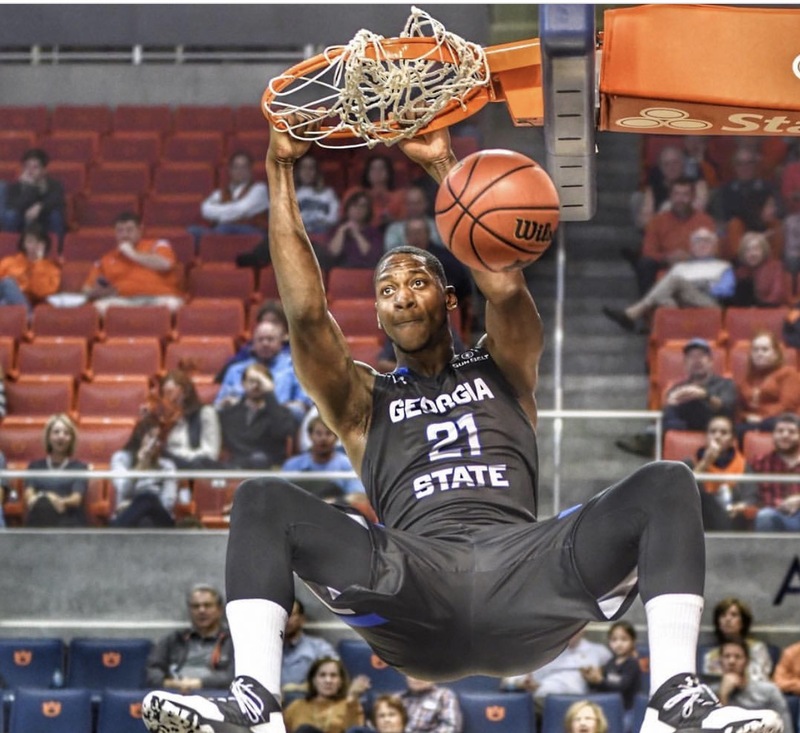 At Georgia State, Clayton stayed true to himself both on and off the court, and it allowed him to develop a committed fan base that wanted to see him prosper. According to Clayton, the results have been the same in Turkey. As for his coaches and teammates, Clayton receives that same level of support. Clayton is undoubtedly finding success with his new team in Turkey, and he credits a higher power for providing him with many opportunities to further his career as a professional basketball player. Averaged 6.1 points and 7.2 rebounds per game as a senior.